If you haven’t had a chance to see Doktor Kaboom yet, take a road trip and go check him out…or at least order his DVD. His show is a blast and he’s got the kids hooked on science! 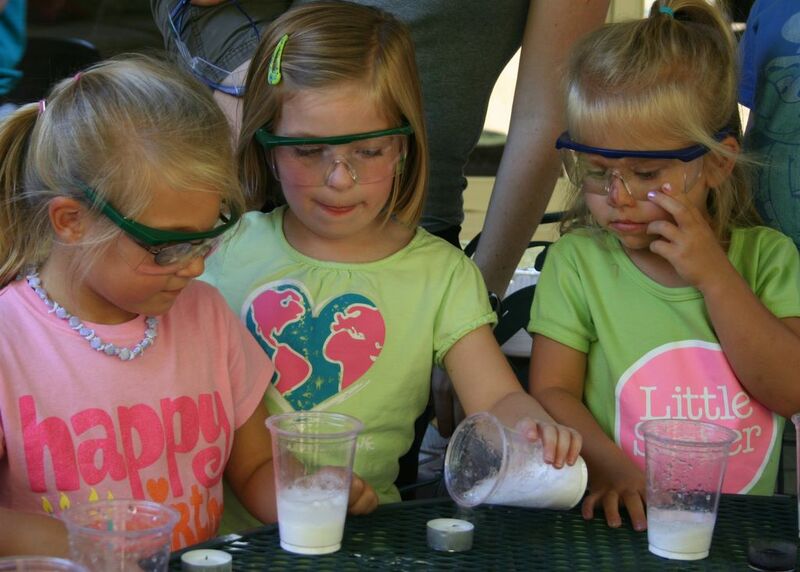 For Amelia’s 5th birthday party, she wanted to do a Kaboom-themed science party. She wanted to do all of the good Doktor’s experiments and she wanted a cake with KABOOM written all over it. We obliged and it turned into a party that will be hard to top. We did seven science demonstrations and the kids were enthralled for each and every one of them. It was even hard to get them to stop playing with the non-newtonian fluid long enough to serve the cake! Now that’s good science. Doktor Kaboom does a great job putting together demonstrations that are entertaining, interesting, fun, simple to set up, educational, engaging…and safe enough that the kids can even participate! Doktor Kaboom was even kind enough to make a special appearance at Amelia’s party via video…complete with a personal birthday with to Amelia and a never before seen experiment he’s working on for his hew DVD. WOW! I can’t even begin to express how much that meant to Amelia. You can see her initial reaction in the video below, but that doesn’t come close the the smiles and hugs that happened after the party as we watched it again and again! Thank you David, you made a little girl’s year.